September, april, may and june: 10am-6pm. October, november, december : 13h-5.30pm. Closed : 24, 25 and 31 December, from 1st to 31st January. 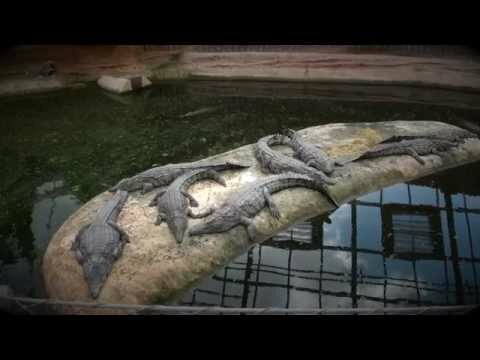 Situated in Civaux thirty kilometres away from Poitiers and to the south-east, Crocodile Planet is a big glass dome which is 20 metres high and 5 000 m2. Discover the six tanks shelter a collection of approximately 200 species which come from all the different continents : crocodiles, alligators, caimans or gavials.